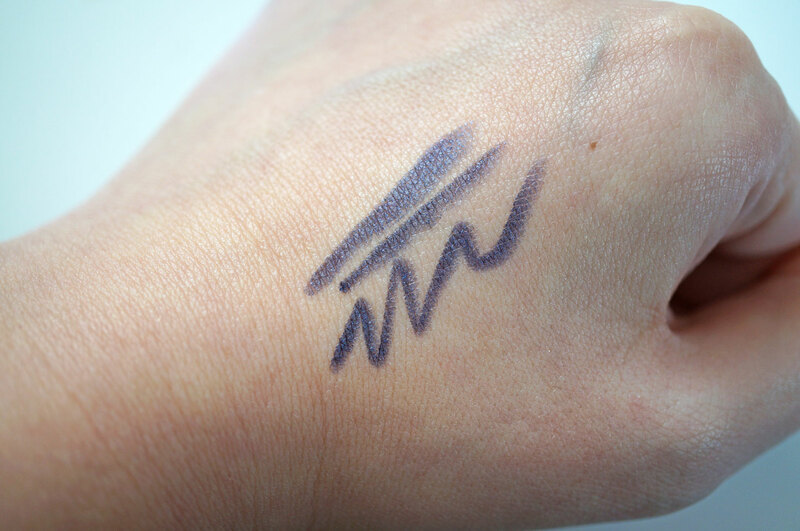 Today I’ve got a brand new shade of eyeliner from one of my favourite brands, Eye of Horus! 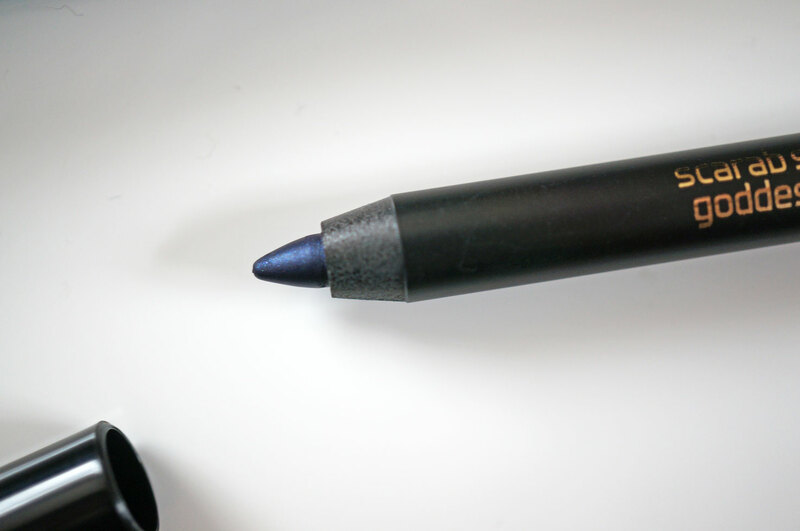 This time they’ve released the Scarab Sapphire Eyeliner – a gorgeous deep blue colour with a hint of shimmer. 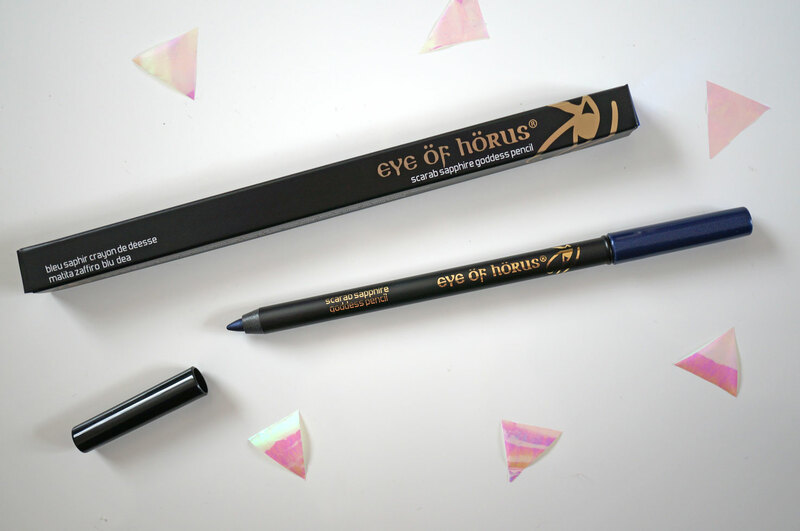 The best thing abut Eye of Horus eyeliners is they’re super soft and easy to apply, they last all day, and did you know they can be removed with only water? How amazing is that! Eye of Horus sell a special Microfibre Cloth Pack that you just add warm water to and remove your eyeliner and mascara, it’s like magic! 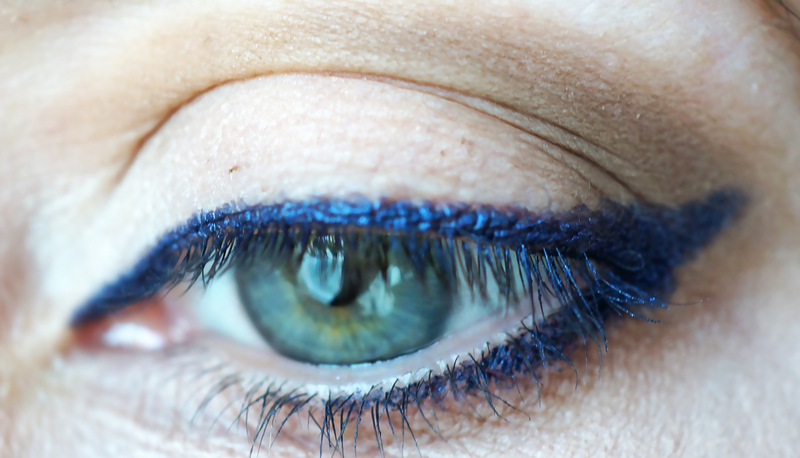 Eye of Horus eyeliners are waterproof, smudge-proof, long wearing pencils that glide on to the lid and last all day. Made with a combination of waxes Bees Wax, Carnauba Wax and Candelilla Wax, the creamy rich metallic formula is easy to apply and yet easily removed. These pencils are non-irritating, nourishing, perfect for sensitive skin and pararben free. I know it’s not the best picture but I think it captures the true colour of the eyeliner. It really is a beautiful blue! I can’t recommend these eyeliners enough, they’re a fantastic all round product! The Scarab Sapphire pencil will be available shortly from Cocktail Cosmetics for £17.00. Next Post Debenhams Christmas Floral Bouquet & Offer!